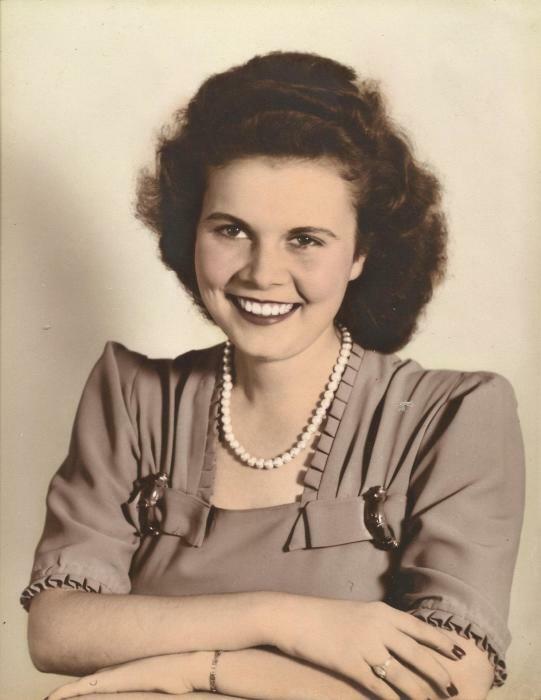 Centertown- Ruth York Bennett, 91, passed away Tuesday, September 4, 2018, at Ohio County Health System. She was born April 29, 1927 daughter of the late F.W. and Gola Trogden York. Ruth was a member of Centertown Baptist Church and the Ladies Auxiliary of the Welborn Lee Ashby American Legion Post 296. She had worked in the Ohio County Circuit Court Office, Fort Hartford Stone for 20 years and Commonwealth Community Bank for 20 years. She was preceded in death by her husband Eugene Lee Bennett and brother Charles York. Survivors include her son Kim Bennett; daughter Jeannie Bennett Maddox (Barney); grandchildren Jenny Maddox Combs(Chris), Ashley Maddox Pogue(Jeremy) , Paige Bennett and Ricky Bennett; great grandchildren Trevor Doan, Merrick Doan, Silas Jackson and Foster Jackson; sister Betty York Tichenor(D.A.). Funeral services will be 11:00 a.m. Friday , September 7, 2018, at Bevil Bros. Funeral Home in Beaver Dam with Dr. Elbert Lee James officiating. Burial will follow in Bell Cemetery near Centertown. Friends may visit with the family from 5-8 p.m. Thursday and from 9-11 a.m. Friday at the funeral home.